Pedestrian injury lawyer, Thomas R. Lefly, founder of Lefly Law Firm, is an experienced Denver personal injury lawyer who can help you get the medical attention you need now, and the financial compensation you’ll need for lost wages, current and future medical bills, and maybe even to compensate you for pain and suffering. Denver pedestrian injury lawyer, Thomas R. Lefly has extensive legal experience representing pedestrians who are injured and who are seeking medical care and financial compensation. 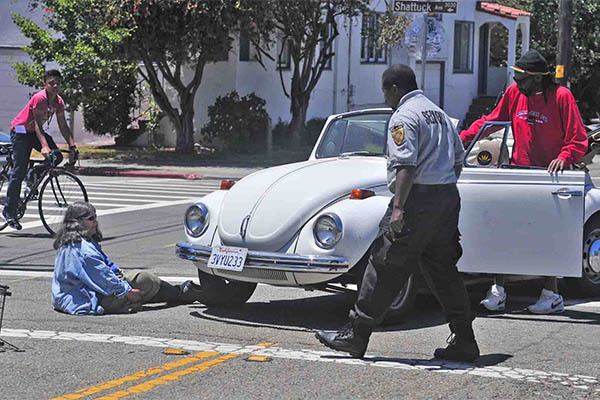 Attorney Lefly handles cases where people are injured while jogging, running, skate boarding, riding their bike or just walking across a cross-walk who were hit by a car, truck or bus. Pedestrians Have the Right of Way! Pedestrians ALWAYS have the right of way. People kid that pedestrians in New York City are more like ‘pin ball targets’ for motorists, but all across the United States traffic laws DO PROTECT pedestrians from vehicles. It sometimes seems that many drivers either do not know the traffic LAWS or choose to ignore them. If you were injured or lost a loved one in a pedestrian injury accident caused by a careless or negligent driver, contact Thomas R. Lefly at (720) 773-9333 for a FREE CASE EVALUATION. Denver pedestrian injury lawyer Thomas R. Lefly welcomes you to come to our offices –or we can come to your home, work or hospital room– to discuss your options for making those responsible pay in a personal injury or wrongful death lawsuit. Although you may feel fine today, having been impacted by a moving vehicle can cause significant physical problems in the future. This is especially true for soft tissue injuries and hairline fractures. Each year – over 85,000 pedestrians are injured and approximately 6,000 pedestrians are killed in motor vehicle vs, pedestrians. According to the National Highway Traffic Safety Administration, motorists who fail to yield to pedestrians cause most of these pedestrian injury accidents. 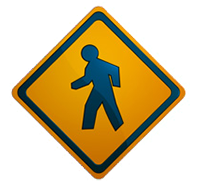 Motorists MUST yield the Right-of-Way to pedestrians – but often DO NOT! Under the law, motor vehicles must yield the ‘right of way’ to pedestrians in crosswalks (** marked OR unmarked crosswalks) and on sidewalks. The failure of motor vehicle drivers to exercise proper care around pedestrians can result in serious / catastrophic injuries, and even death. If you or a loved one has been injured by a motor vehicle in a pedestrian accident, Colorado pedestrian injury lawyer, Thomas R. Lefly, knows how to help you obtain the just compensation you are entitled! Get the POWER of a LAW FIRM on your side at once! 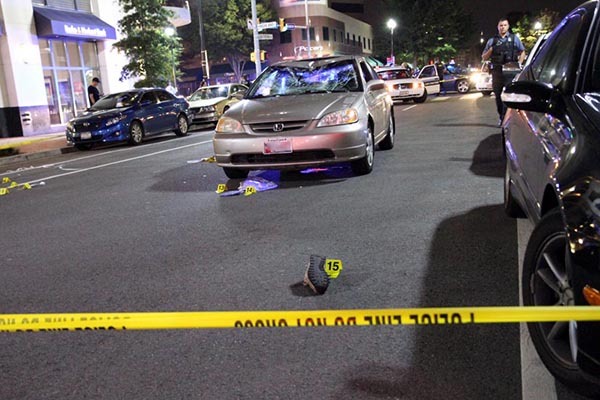 Denver pedestrian injury accident attorney, Thomas R. Lefly, represents pedestrian injury clients on a contingency fee basis which puts the power of an experienced law firm in your corner for ZERO $$$ – NO out of pocket cost. If we don’t obtain a settlement or money judgment for you, we don’t receive a fee. Denver area pedestrian injury lawyer, Thomas R. Lefly, has been providing experienced, aggressive representation to injured pedestrians for years. Let us put our personal injury expertise to work for you! Come Visit Us —OR— We Can Come to You! If you are a pedestrian who has been hit by a motor vehicle and you have sustained injuries as a result, contact Denver pedestrian injury lawyer, Thomas R. Lefly, at (720) 773-9333 to set up an appointment for a free initial consultation. Punitive Damages for Intentional or Reckless Misconduct. The law imposes a short time limit within which a personal injury claim must be filed. If you wait too long to contact a personal injury attorney after a pedestrian accident, you may lose the right to receive monetary compensation for your injuries. Don’t let this happen! If you’ve been injured in a pedestrian accident as a result of somebody else’s negligence, intentional conduct or recklessness, contact Denver pedestrian accident lawyer Thomas R. Lefly today at (720) 773-9333. We will meet with you to evaluate your case and determine how our skills are best suited to meet your needs. 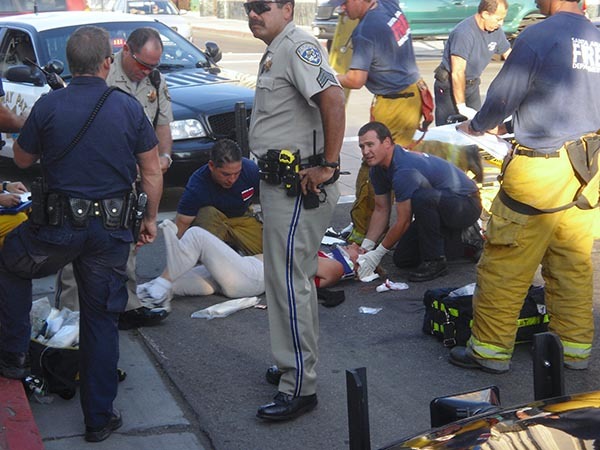 We are dedicated to helping accident victims and their loved ones receive the maximum monetary compensation possible. We take pride in maintaining excellent client contact. Mr. Lefly and his staff return all calls and emails promptly and keep clients up to date regarding the status of their case. What is the Dollar Value of Your Case? If you are a pedestrian who has been injured by a motor vehicle, injured in a ‘slip and fall’ accident at some business or facility or injured by the negligent and wrongful conduct of others, and want to find out what your case is worth, please call us today at (720) 773-9333 for a free, confidential consultation. Or if you cannot call right not, please fill out our Case Evaluation Form, and Attorney Lefly will call as soon as possible to talk over your case or to schedule a Free sit-down consultation. Contingency fee arrangements allow ALL accident victims –no mater the size of their bank account– the ability to take advantage of top-drawer legal representation by pedestrian injury attorney Thomas R. Lefly. Because attorney Lefly takes pedestrian injury cases on a contingency fee basis, getting immediate professional legal help is but a phone call away. What does this mean to you? You do not have to pay us any type of fee out of pocket. In fact, you will not even have to pay us a dime unless we win your case. The contingent fee arrangement is also commonly referred to as “NO WIN — NO FEE because the client is not held responsible for payment in the event that the pedestrian injury attorney is not successful in recovering an insurance settlement or jury award for money damages.